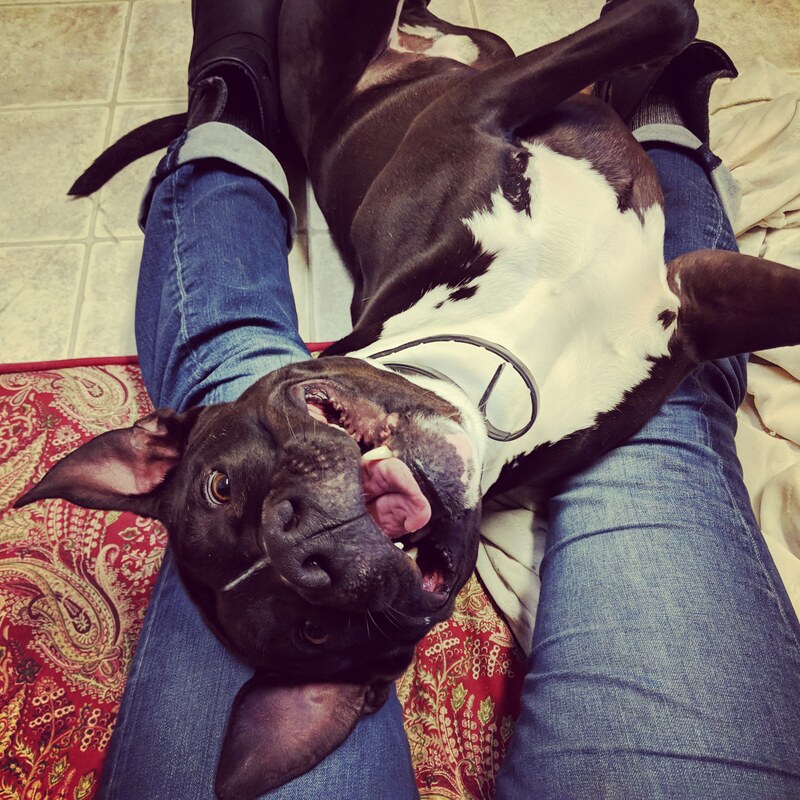 Our guy Niko LOVES playing fetch, people (crawling into your lap love and smooches kind of love), stuffy toys, car rides, going for walks, learning new tricks (Niko knows, “sit, stay, place, come, and heel”) and he loves dinner time! Niko has a very loving disposition and is full of energy! You can’t be unhappy around Niko, he is just that much fun! He does have a slight snoring problem when he curls up in his bed but we find it very endearing. Niko gets along with everyone he meets and he is especially fond of female pits! He adores playing with females pits and would love to have a friend like that in his new home. Niko would rather not have a home with cats, because honestly they are just to enticing when they run and he thinks that is something fun to chase. Niko would rather not be with us at the shelter anymore. He is a champ and does his best but the stress is getting to him and he deserves a loving home. Niko needs a family that will play with him and continue the training that he has started here with us and more than anything some love and attention. 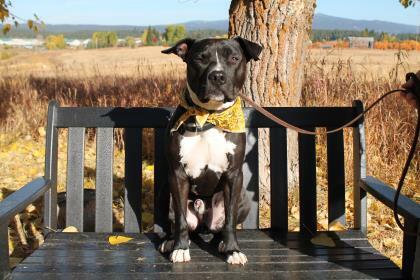 Niko’s adoption fee has been paid by a Guardian Angel and Niko comes with a Harness Lead for easy walking, and because he enjoys learning and working so much, resources for his continued training! Come in and hang out with Niko. We know he will steal your heart as he has stolen ours!